I recently had the opportunity to talk with Ken Jones, professor of operations and supply chain management at Indiana State University, about a business process improvement course he teaches at the university. The course covers a variety of Lean Six Sigma tools and techniques and gives students the opportunity to team with local businesses to complete real quality improvement projects. Upon successful completion of the class, students even become certified green belts. One item we talked about was how valuable the experiential component of the projects can be for students, especially in teaching them additional real-world lessons not found in a textbook. I’m a relative newbie myself to quality improvement and Lean Six Sigma techniques, and I couldn’t agree more with Ken! Learning by doing has been especially helpful for me thus far. I also got the chance to talk with two of Ken’s students about the projects they completed for the class, and thought you might be able to learn a few things from them—I know I did! Since few valid baseline measurements were in place to determine the current volume of donations and sales, Everly started by compiling and analyzing cash register records to get an idea of the average difference between sales recorded and donations made. With fishbone diagrams, she outlined the weaknesses in the current system for logging, sorting, and selling donations and was able to identify initial improvement opportunities. Everly then defined the current process by developing a process map, which helped her to further identify ways to streamline and eliminate waste from the process. Her analysis of the current process revealed that two retail locations were forgetting to record donations, and that many locations were improperly coding items and incorrectly recording costs. Everly used the information she gathered to develop a new process, which used a central computerized spreadsheet system for recording end-of-day inventory and sales for all of the Lighhouse Mission’s retail locations. The system was easy to use and made the process for submitting inventory information much more standardized, which improved the accuracy of their data. 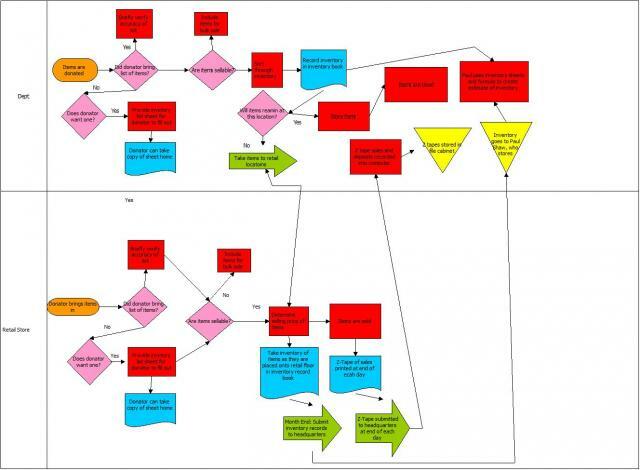 She then used Companion to develop a future-state process map for the updated processes. From there, she used the Cause & Effect Matrix to analyze her future-state process map to identify the critical aspects of the new process, and tracked the progress and activities of the project using a Gantt Chart, which helped her to stay on task. Although the Lighthouse Mission is still in the early stages of implementation, the group is already seeing the benefits of having established processes with uniformity across all locations. The new system is allowing the Lighthouse Mission to see a more complete picture of their inventory and sales data, which is helping them to make better business decisions and giving them the ability to assist more people in the Terre Haute area. Lisa Hammill, management information systems major at ISU, worked with a local hospital to conduct a Six Sigma project to improve the patient re-registration process for outpatient therapy services. The hospital had one on-site and three off-site locations for outpatient therapy, and wanted to streamline the complex process of re-registering patients at the beginning of each calendar year at each location. The hospital’s accounting procedures for outpatient therapy services required that all patient accounts be closed annually, then current patients had to be re-registered at the beginning of the year. This process involved manually inputting redundant patient information to create new patient account numbers. Working alongside employees from outpatient therapy services, Hammill and her project team used the DMAIC approach to frame their project. Like Everly, Hammil used Companion to manage her project. To help define the current process, she developed a current-state process map, and recorded the time staff spent at each process step. At the same time, Hammill and the team brainstormed improvements and opportunities for automation of the manual re-registration step, which was identified as a process bottleneck and source of wasted time. The team also focused on eliminating other process steps that could free up registration staff to be readily available for other time-intensive check-in procedures, such as verifying patient insurance. With improvements to the process in place, Hammill and the team evaluated the updated re-registration process and noticed an improvement in the overall process time, as well as time saved at many of the individual process steps. 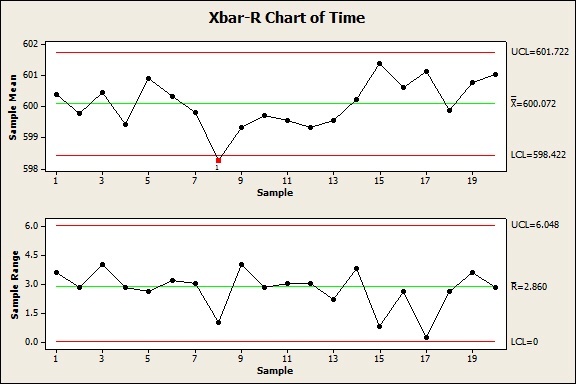 Using Minitab Statistical Software, Hammill created control charts to monitor variation in the new process, and performed additional analysis on the process times recorded before and after improvements to prove there was a statistically significant difference. 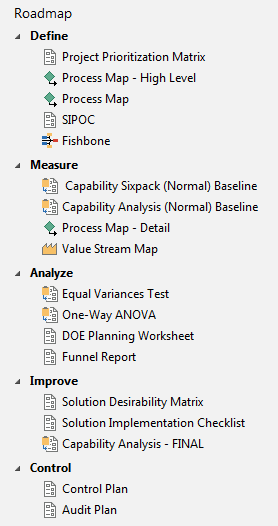 How did you learn Lean Six Sigma? Did you learn best by actually completing projects or did a more formal classroom approach help you the most?